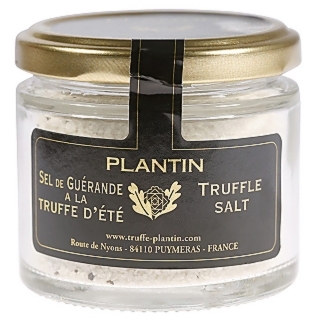 A high quality black truffle salt capturing the flavour of French black truffles. Sprinkle on foods as a finishing touch before serving to add truffle flavour. French sea salt, black summer truffles 5%, black truffle aroma. As with all truffle products it is best added to foods which do not have too strong a flavour to allow the subtle taste of the truffle to shine through.